If a loved one dies as a result of his injuries in a tragic truck accident, it can be overwhelming and confusing for family members to determine what type of claim to file with the negligent trucker’s and trucking company’s insurance companies. In some cases, a person may need to file two separate claims. If you lost a family member due to a negligent trucker’s actions, you need the help of an experienced truck accident attorney to determine the type of claim to file and to negotiate your settlements for you. Wrongful Death vs. Survival Action: Which One Should You File Following A Truck Accident? Wrongful death action. A wrongful death action is a claim by the surviving family members for the losses they suffered due to the death of their loved one in the truck wreck. Survival action. A survival action is an action to recover the compensation that the deceased person would have recovered if he had survived the accident. Who Can File a Wrongful Death Action and a Survival Action Following A Truck Accident? In a survival action, the executor appointed in the will would pursue the victim’s right to compensation. He would open an estate by filing a petition in probate court and settle or litigate the claim as part of the probate estate. If the deceased person did not have a will, a family member may be able to step forward voluntarily and be appointed the executor or a person who is allowed to be executor under Georgia law could be appointed by the court. In some survival actions, the executor may not be the same person pursuing the wrongful death claim, especially when the deceased person has remarried or had children outside a marriage. For example, if a victim died leaving a spouse and adult children, the spouse may be the only one entitled to pursue the wrongful death claim and receive the settlement proceeds. However, a child could file the survival claim if one of them was appointed the executor of the will. Even if another individual was appointed executor, the children could receive the proceeds of the settlement—and not the spouse—if they were left the victim’s estate in his will. These cases can be complicated and contested, so having an experienced attorney representing surviving family members is essential. Loss of the care, companionship, advice, and other support that family members lost when the victim died. In a wrongful death action, the payments are made directly to the family members entitled to compensation and not through the victim’s estate. This means that they will receive the full amount of the settlement no matter what the victim’s debts were at his death. In a survival action, the settlement proceeds are distributed through the estate. However, if the deceased person died leaving any bills, such as personal loans, credit card bills, or other debts, these may need to be paid out of the estate before any money is paid to the heirs. In addition, the costs of the probate, such as the filing fee and attorney fees, would be paid first. If the victim died owing many debts, the individuals entitled to the settlement of the survival action could receive significantly less than what they are entitled to. Is the Statute of Limitations Different in Wrongful Death and Survival Actions? The statute of limitations is the deadline to file a lawsuit against the negligent parties in a truck accident. If you miss this deadline, you lose your right to litigate your claim. This is one way that wrongful death and survival actions are the same. 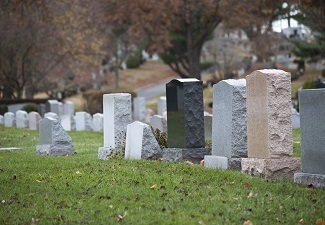 The statute of limitations is two years from the date of your family member’s death in most cases. However, if your loved one did not die for days or weeks after his accident, the statute of limitations could be calculated from the date of the accident and not his death. It is always important to contact an attorney soon after the accident to ensure that this important deadline is not missed. If a loved one died a truck accident, you need an experienced truck accident attorney to determine whether you can file a wrongful death action, survival action, or both, and to negotiate your settlements for you. To learn how the experienced and compassionate legal team at Chris Hudson & Associates can help you hold the negligent trucker and trucking company accountable, contact us online or call us directly at 888.795.6261 to schedule a free consultation.